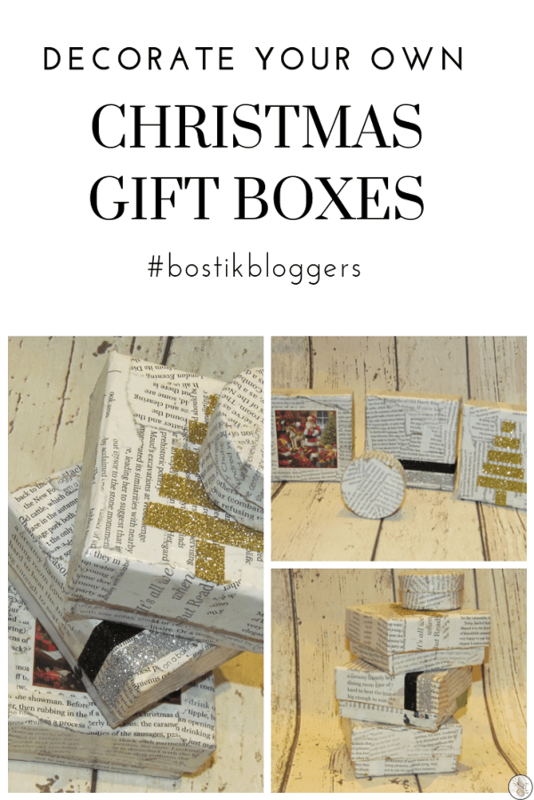 I have a real thing for topographic art – that’s art that’s made from words, for those who don’t know – so when we received a little cardboard ring box in our Bostik bloggers box, it gave me a great idea for a craft that we can use for Christmas, but actually, it’s something you can use any time of the year if you choose your design more generically. My idea was to use a spare copy of A Christmas Carol for the paper, but when it came to it, I couldn’t tear pages out of a book! So I ended up using pages from Waitrose and English Heritage magazines instead! 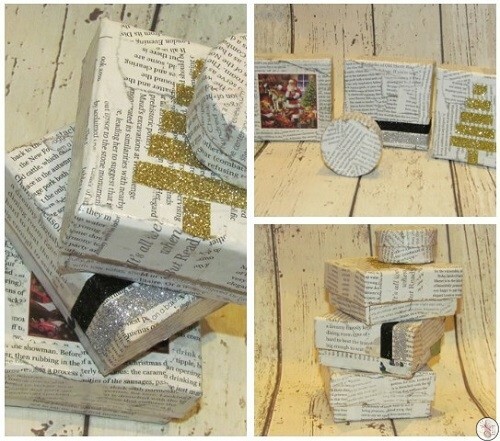 It’s definitely something I think would look amazing made with pages from your favourite story too though. Tear pages into strips and then into squares. Mix equal parts craft glue and water and mix well. Layer the paper squares and cover with another layer of glue. Leave to dry for an hour or so then decorate. Fill with home-made truffles, bliss balls or a home-made pendant.